Welcome to the Yellowknife Ski Club! 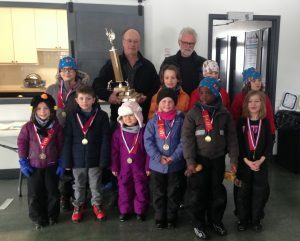 The Yellowknife Ski Club has been running on 100% volunteer power for over fifty years. 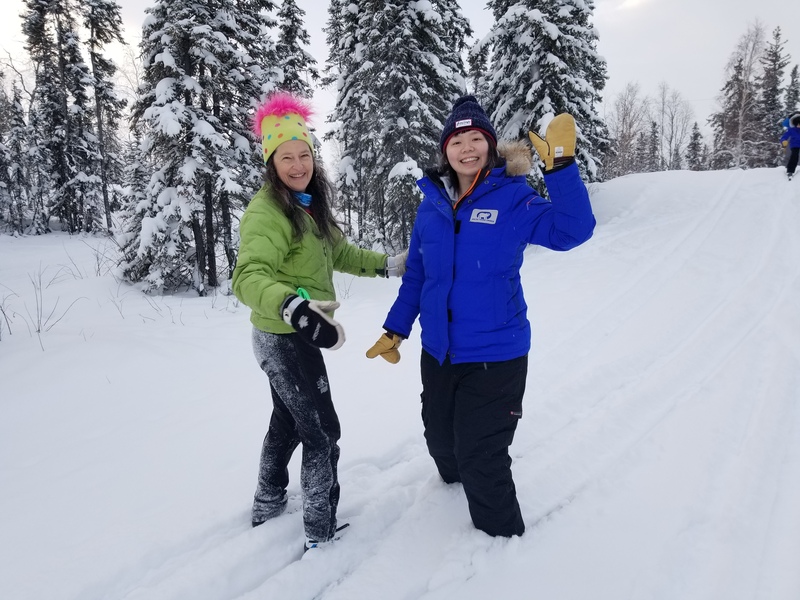 We manage 14 kilometres of groomed trails, a biathlon range and our ski chalet near the intersection between Highway 3 and the Ingraham Trail. 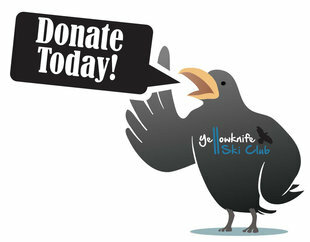 And be part of our ski community in Yellowknife! 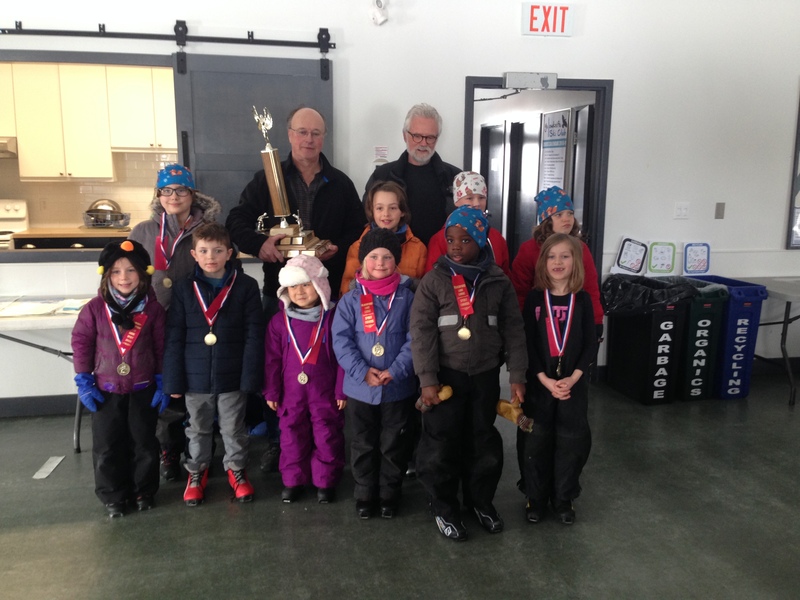 Sign up for the 2018/2019 ski season here on Zone4.ca. Just Visiting? Not a Member? Non-members are welcome to use our trails. The cost is $15 for one person or $40 for a family. Fees can be paid in the drop box by the trail entrance or by credit card here. Large trail maps are found on the display board at the club. Day users ski at their own risk. We do not offer equipment rentals but Overlander Sports does. People who rent skis from Overlander are entitled to use our trails for free. Need more information? Peruse this site or contact us. We would like to recognize TerraX for their generous sponsorship and support of our annual loppet. Without them, this event would not be possible. A huge thank you for their generosity, dedication and enthusiasm! This year we had 370 participants — a new record! And a big thanks to Alyssa Titus (pictured) for organizing this year’s event. She did an amazing job with a huge team of volunteers and it showed. Our chefs: 100 dozen cookies (!) by Kathi Woodward; soup by Sarah Beattie & co.; energy balls by Sarah Argue, Maggie Collins, Shauna Mullally, and Kathryn Oraas. Our dedicated volunteers: Damian Panayi, John Stephenson, Kerry Wheler, Dave Taylor, Heather Hannah, Sam Kennedy, Jennie Rausch, Tom Deleff, Denise-Nathalie Althaus, Toni Anderson, Matt Anderson, Heather Moxon, Catherine Pigott, Raquel Garcia, Joslyn Oosenbrug, Sarah Beattie, Kate Mansfield, Marret Callas, Amanda Blair, Satish Garikaparthi, Jean-Marie Mariez, Rebecca Bruser, Rachel Van der Veen, Brian Latham, Danielle Stachiw, Sean, Debbie Delancey, Tania Hercun, and Alex Lothian. And thanks to all the Loppetteers who made it a great day of skiing. Every year our Jackrabbits program recognizes one coach who exemplifies the enthusiasm of the late Ron Seale. This year’s choice was Meghan Beveridge (pictured), who coached Level 3, and had a great time doing it. We were pleased to have this year’s award presented by Lorraine Seale and Peggy Holroyd, as well as our Jackrabbits coordinator, Kerry Wheler at the chalet on Saturday, April 6. The ski club has purchased two slightly used snow machines to augment our aging Alpine snowmobiles, and they have kind of a neat story. The DEW D900 snowmobile was custom designed for the military as part of an experimental program to develop a heavy pulling vehicle for Arctic operations. Weighing in at just under 1,000 pounds with fuel, these new machines can pull 2,000 pounds and are powered by a three-cylinder turbo-charged diesel engine. Although not great for military purposes (they sank in softer snow and were hard to start at -40), it turns out they’re great for pulling grooming equipment and love life in a heated garage. The ski club picked these babies up for $6,000 a piece, in pretty great condition. 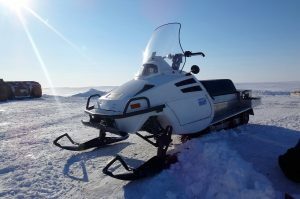 One started at -20 after having sat for two years on a surplus lot, and the two machines had been used for only 50 and 70 hours, respectively, both on an operation in Resolute Bay, Nunavut, with the Canadian Rangers. So far, the machines have been tested on all of the grooming equipment but the largest grader and have functioned perfectly. If you happen to see one of these beasts on the trail, please know your tax dollars are hard at work, right here at the club. Thanks to trails director Chris Hotson for spotting this deal and making it happen! 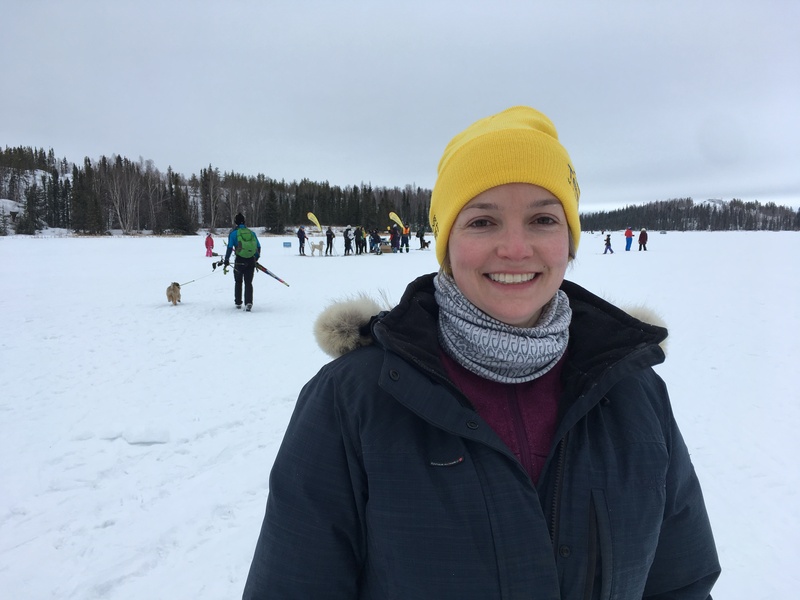 Registration is now open on Zone4 for the Yellowknife Gold Loppet sponsored by TerraX Minerals takes place Sunday, April 7. What’s a loppet, you ask? It’s a fun ski on groomed tracks in the wilderness starting at Vee Lake between 10 and 11:30. Skiers can choose from 4, 15 and 25 kilometre loops. Dogs are welcome after 11:30. You can see the route map here. There are two checkpoints featuring refreshments and apres-ski chilli is served at the ski club chalet between 12 and 4 pm. You don’t need to be a ski club member to sign up. Volunteers are still needed, and we still have jobs that will allow you to ski. Contact Alyssa Titus at ykskiclubvolunteerdirector@gmail.com. Please register all your family members, including infants in pulks and packs. Sign-in and bib pick up will be at Overlander Sports between 10 am and 5 pm on Saturday 6 April (the day before the event). You must begin your ski between 10:00 and 11:30 am. We will not be able to track any skiers starting after 11:30. If you are skiing with a dog, we ask you to start at 11:30. Please note that we must limit dogs to one per skier, on a leash while in the start area, and no skijoring! If you wish to ski the 25 km route, you must arrive at Jackson check point (7 km mark) by 12:30 pm. All skiers arriving at Jackson after 12:30 will be diverted to the 15 km route. For safety reasons, you must stop at all check points, including the Start and Finish, to make sure your name and bib number are recorded. If we don’t record your finish, we will send out Search and Rescue to look for you! You must check in at each check point before it closes. Please consider this before you decide whether to register for the 4 km, 15 km, or 25 km route. Banting Check Point will close at 2:00. Jackson Check Point will close at 1:30 pm. The Finish Line will close at 3:00. Free apres-ski lunch chili will be served at the Chalet from 12:00 to 4:00 pm. There will be limited drinks and snacks only at Vee Lake. 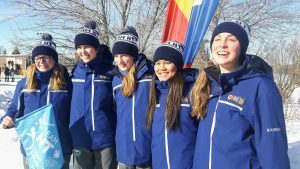 Nine Yellowknife skiers raced their hearts out at the Canada Winter Games this week in individual start, sprint and mass start races. 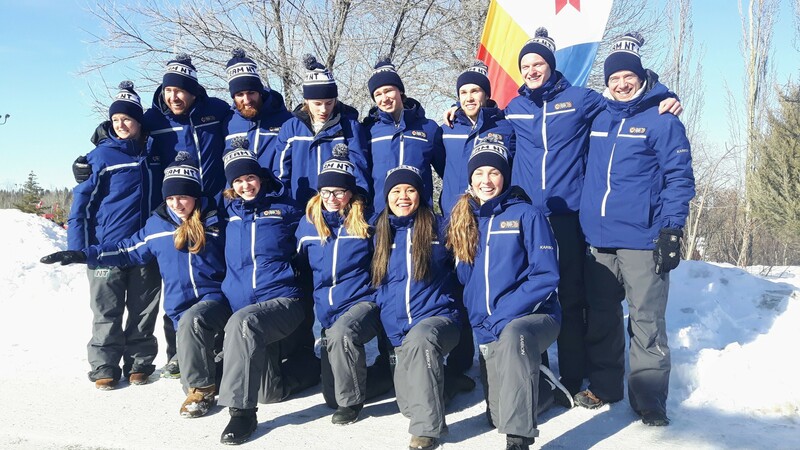 Team NT cross country skiing is made up of Jack Panayi, Jack Kotaska, Donny Boake, Nicolas Bennett, Rae Panayi, Kea Furniss, Ruby Pigott, Ella Kokelj and Clair Littlefair. 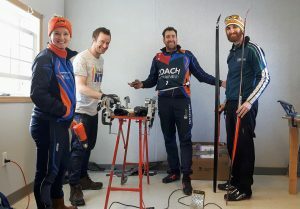 Coaches supporting NT skiers include Head Coach Sheena Tremblay as well as Kevin Durkee, Stephen Dunbar and Mike Argue. Team NT cross country skiing at the 2019 Canada Winter Games in Red Deer, Alberta. Team NT coaches at the Canada Winter Games. Head Coach Sheena Tremblay, Stephen Dunbar, Mike Argue and Kevin Durkee. 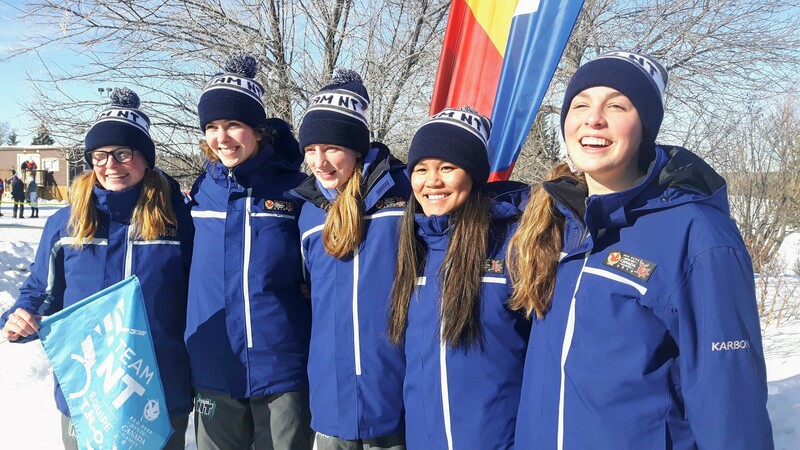 While conditions were challenging for some, race days have resembled home with temperatures in the low teens; perfect conditions for speedy NT racers who have raced competitively with athletes from across the country. The girls: Claire Littlefair, Ella Kokelj, Kea Furniss, Ruby Pigott and Rae Panayi. The games closed out with mixed relays on Saturday. What a week! Registration is now open for three sets of lessons for adult beginner/intermediate classic skiers running in March 2019. Each set includes four lessons over four weeks, except Saturdays, which runs over three weeks. Registration is now open on Zone4.ca. Registration closes two days before the first lesson. Four lessons cost $80 plus a $40 trail use fee for non-members. The Saturday series of three lessons costs $60. Read more about our adult lessons here. Zing! 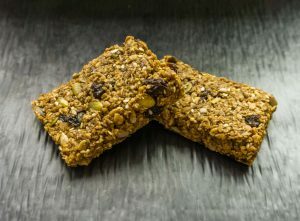 real raw food will be serving Sunday lunch for purchase in the chalet Feb. 17 from 11:30-2. 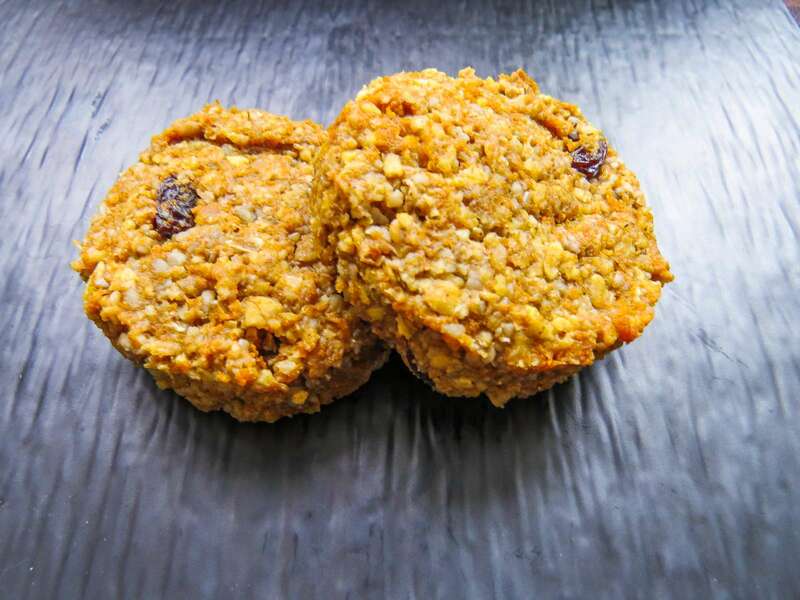 All food is gluten-dairy-egg free and plant based. Hot & Hearty Chowder filled with corn, cauliflower and potatoes. Served with gluten-free corn bread. Soul Satisfying Chickpea Dumplings in a velvety tomato sauce. Calcium-rich Sesame Noodle Salad, a delicious mixture of carbs and greens dressed in a flavour-bursting sauce. All that, plus Kombucha! 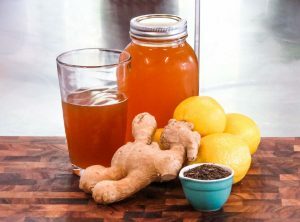 Fermented tea bursting with lemon and ginger, $5 per glass or $10 per litre. Please note: the ski club does not offer rentals, but Overlander Sports does. Please also note: no walking is permitted on the ski trails during ski season. 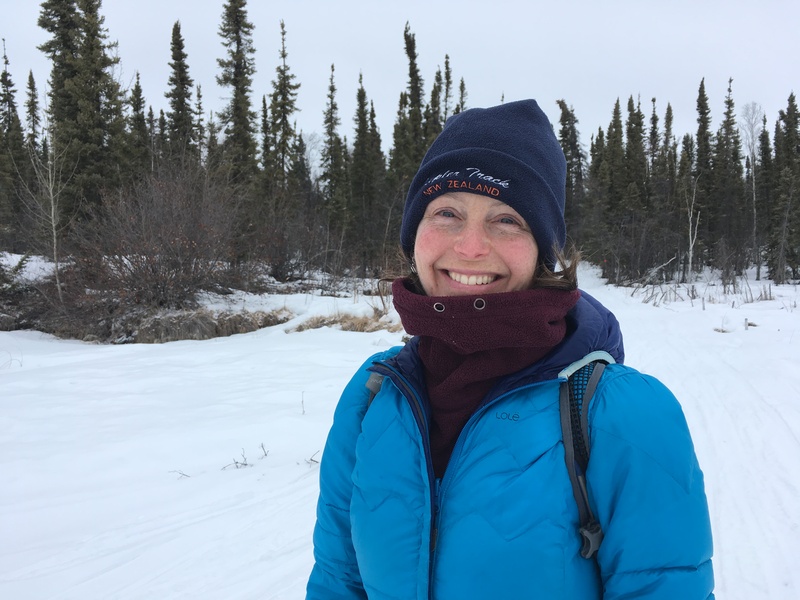 Update Friday Feb. 22 at 1pm: Regret to inform all racers, volunteers and parents that the Yellowknife Ski Races will not take place this weekend due to cold weather. We will instead hold a cold weather ski-a-thon for all ages on Saturday from 1:30-2:30 (featuring cookie medals!) followed by snacks and hot drinks in the chalet. Ski events for Sunday are cancelled, but One of a Thai will still serve Sunday lunch for purchase in the chalet from 11:30-2. The Yellowknife Ski Races are an annual event to meet other skiers, gain race experience, and have a good time. This is a family event, with categories for all ages. Anyone is eligible to enter (you don’t even have to be a Club member! ), or just drop by to watch and make some noise. We look forward to seeing you at the event! Saturday, February 23: Classic Technique, interval start. Bib pick-up from 12:30pm to 1:00pm. Races start in order of distance at 1:30pm. Cookie medals for all participants. Start lists will be posted at noon on the date of the event. Sunday, February 24: Free Technique, mass start in waves by distance. Bib pick-up from 12:30pm to 1:00pm. Races start in order of distance at 1:30. Cookie medals for all participants. Start lists will be posted at noon on the date of the event. Events: Here’s the official race notice, listing all events. Registration: Participants must register for the event at zone4.ca. All racers 8 years and younger are free, but must still register. Ages 9 to adult are $5. Registration closes at THURSDAY, February 21 at midnight. Late entries cannot be accepted. Eligibility: Anyone with a pair of skis. All ages & levels are welcome and encouraged to participate! Awards: Cookie medals for all participants as they cross the finish line. Gold, Silver & Bronze medals will be awarded to Pee Wee, Bantam, Midget, Juvenile and Junior categories only. All Masters skiers will be entered into a draw for an Overlander gift certificate. Waxing Facilities: There are 3 waxing tables available at the main Ski Club wax room. Saturday Refreshments: Complimentary light refreshments (fruit, bagels) and hot chocolate will be served in the chalet. 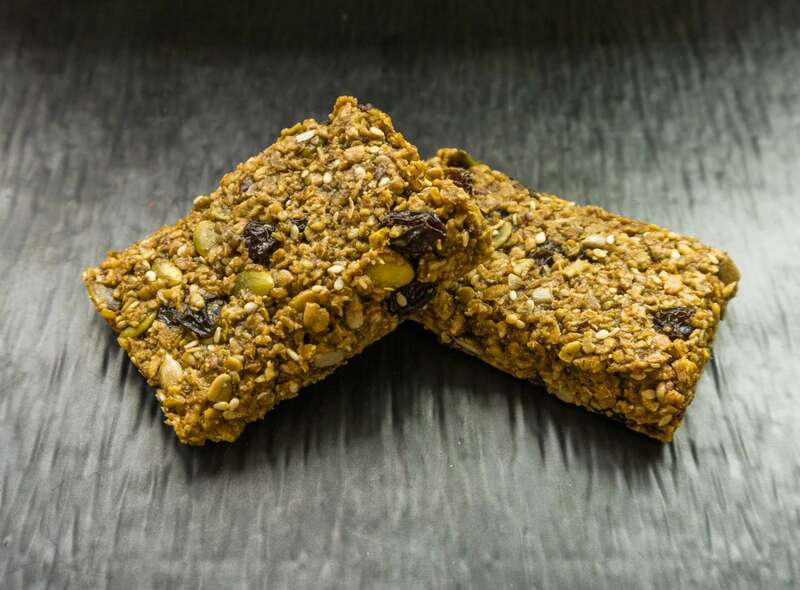 Sunday Refreshments: Bring the family for lunch, even if you are not racing! “One of a Thai” will be onsite to serve specialty dishes for purchase ($14-16/plate) from 11:30-2:30. Complimentary light refreshments (fruit, bagels) and hot chocolate will be served in the chalet. Weather & cancellation policy: The Event Jury will monitor the weather forecast and may cancel the event. The cut-off temperature will be -20 C for Midget and older categories; -15 C for Bantam and younger (as per CCC rules). In case of cancellation, participants are encouraged to go for a light ski and enjoy the warmth and camaraderie in the chalet. No refunds will be given. Volunteers: It’s fun to be part of the team that makes it happen! If you can spare some time to help out, please email chjarock@hotmail.com. We had about 300 people at the chalet Jan. 20 for World Snow Day, including many first-timers and many first-timers on skis. 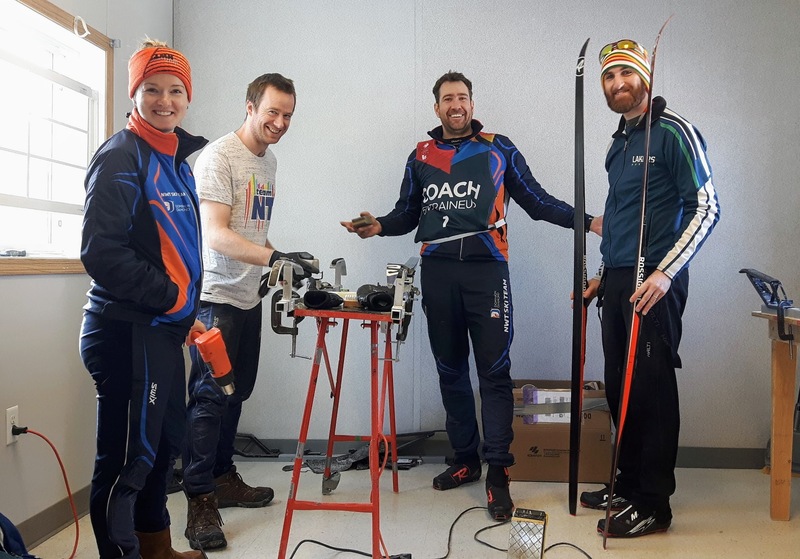 Yet another great event run by events director Kerry Wheler and her whole crew of people who came out to make pancakes, fit ski rentals and point people towards the trails. Thanks to: John Stephenson (head of rentals and shooter of the above photographs), Tania Hercun (head of kitchen), Alex Lothian, Cheryl Mandeville, Karen Johnson, Brian Latham, Satish Garikaparthi, Ozgur Oner, Kelsey Pike, Brett Wheler, Monte Kehler, Anita Gue, Yvonne Pike, and many others in the kitchen. Thanks also to our sponsors: Overlander Sports, NWT Recreation and Parks Association, JH Sissons School and the Yellowknife Co-op.